Belly Blaster Review (UPDATED 2019): Boom or bust? Belly Blaster Review: Boom or bust? Showcasing an attractive young woman on a beach with an impeccable midsection on it’s website, Belly Blaster entices it’s users to lose weight with their product, subliminally claiming that it’s scientifically proven ingredients can have you looking like the woman in the ad, if not dating her relatively soon. But will this product really have you blasting away pounds as if from a bazooka? Or is this product nothing more than a blooper? We decided to check out if this product really is what is says it is, and if it could really get rid of a beer keg gut. Belly Blaster is manufactured by the Chandler, Arizona based Liquid Supps. 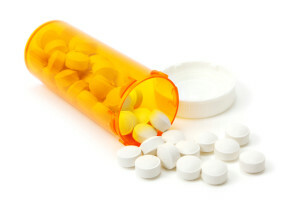 Liquid Supps also produces other dietary supplements, which are either in liquid or capsule form. These products are boasted to be increase the rate of absorption into the body far better than other products on the market. Belly Blaster can be purchased on the company’s website, as well as online retailers such as Amazon.com. 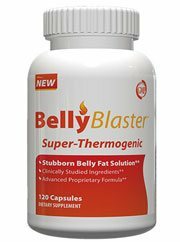 Belly Blaster claims to work by combining 5 separate ingredients (while actually having only four) together that are scientifically proven to result in weight loss. Belly Blaster includes ingredients that can help suppress appetite as well as increase metabolism. In addition to this, Belly Blaster also claims that it can help burn fat evenly all around the body, since some areas don’t burn fat at the same rate as others. It is this the company claims, that makes Belly Blaster stand out from the competition. To achieve the desired results, it’s instructed to take one to two servings of two capsules a day. Although following the directions prescribed, not all users found the results they were looking for when using this product. While the company’s website does mention some of the ingredients that are in the product, it doesn’t list all of them out front. Of the ingredients that it does include it does have a lot to say about each, as a page is dedicated to each of the three mentioned products. If you are interested in other diet pills with all natural ingredients, please check out the top 10 list. Garcinia cambrogia: A fruit from south Asia that has shown some potential to help with weight loss, at least in the short term. Studies on this ingredient are still ongoing. Green coffee bean: Although highlighted by Dr. Oz for it’s weight loss properties, the actual results that this produces are minimal. Rasberry Keytones: While used a lot in weight loss supplements, it is unclear how much of an effect this actually has on weight loss. Caffeine anhydrous: A powdered form of caffeine that helps boost both metabolism as well as energy levels. Possible adverse effects from this product may include the following: Headache, nausea, insomnia, anxiety, jitteriness, heightened blood pressure, rapid heart beat and acid reflux. Unlike other diet pills that are expensive or that add on a hidden auto-shipment feature, Belly Blast stays away from that, instead being pretty inexpensive as far as diet pills go. When viewing on the screen of a computer, it does look like this product seems about right. 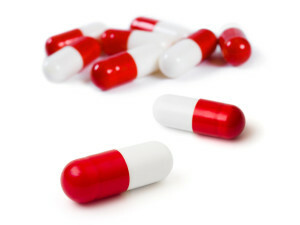 Yet at the same time, the company’s website doesn’t provide a lot of information that would be key, such as when to take the capsules or how many a day to take. There is also discrepancy about the product details when one compares what is on the company’s website and what is shown on Amazon.com. When facts like these can’t even be put concretely down, how can you really trust the product, if “concrete details” about it are debatable? And if you aren’t happy with that gut you could possibly still have after using this product? Well you are out of luck, because there is no money back guarantee. While working for some people, this product isn’t something that everyone will see an effect from. Lack of information in some areas is also a cause for concern, because it puts the validity of the claims made up into question. While seeming to be a good idea, there is no real proof that this product is as effective as it is advertised. Sure the company’s website says good things, but that’s their own product. When you have only good things to say about your own product, it’s easy to overlook any results to the contrary. Don’t let this company get you to believe otherwise. There are plenty of more effective diet pills out there. As in the quest to lose belly fat, always look for something that can actually help you shed the pounds, and not just say it. We recommend looking into other weight loss supplements that may be better and more effective for you. Whats better than Belly Blaster?